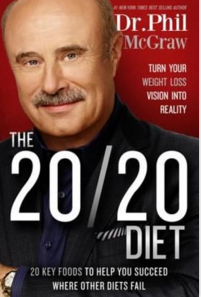 “Rye crisp” crackers were included in “The 20/20 Diet” by Dr. Phil McGraw. The ethos at RyKrisp is about nourishing body and soul, meaning a good balance between diet, exercise, and lifestyle. That being said it was interesting to see rye as one of the 20/20 foods along with coconut oil, green tea (yeah! ), mustard, walnuts, olive oil, almonds, apples, chickpeas, dried plums (prunes), leafy greens, lentils, natural peanut butter, pistachios, raisins, yogurt, eggs, cod, tofu, and whey protein. About rye, the author says “Whole-grain rye has been shown, in several studies, to increase the feeling of lasting fullness, even when compared to other whole grains such as wheat. Participants in one study published in the journal ‘Physiology and Behavior’ felt a lower desire to eat for the four hours after eating a whole-grain rye breakfast. Some researchers point to the high water-binding capacity of rye fiber (which causes it to stay in your stomach longer) as the possible reason why it increases the sense of fullness. And then Dr. Phil included a recipe of egg salad on RYKRISP. Yeah, again.